As we get older, we tend to either experience changes in appetite or lose our appetite altogether. This is usually due to a number of different things like thyroid disorder, Alzheimer’s disease, mouth and throat infections, gum disease, salivary gland problems or cancer. 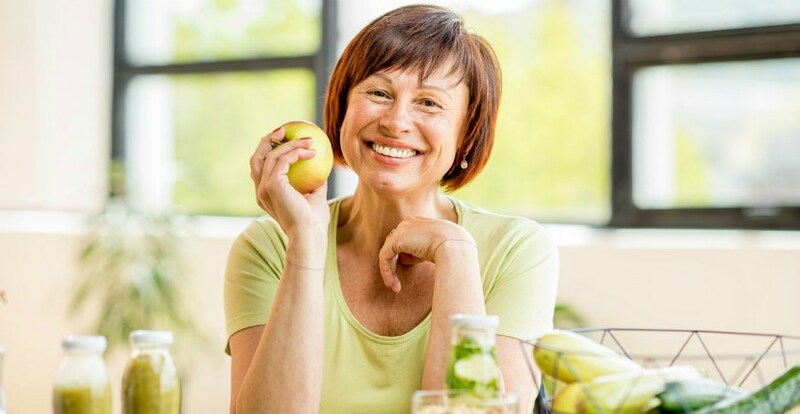 A loss or change in appetite could also be the result of non-medical conditions such as dehydration, difficulty chewing or swallowing, loss of taste, lack of exercise or problems with meal preparation. In addition to changes in appetite, seniors’ nutritional needs can alter their diets and the way they eat, as well. That’s why it’s important to talk to a doctor about your loved one’s health, while making sure they get the vitamins and nutrients they need. Healthy snacks can be a significant part of a healthy diet. If you senior isn’t receiving nutritional advice from a home care agency, how can you find the right in-between foods for your loved one? Freedom Home Care lists a few ideas below. Nuts are a quick, delicious source of magnesium, fiber, protein, copper, phosphorus, manganese, selenium and vitamin E. They don’t require preparation and can be eaten on-the-go. There’s nothing more refreshing than enjoying fresh fruit in season. Try slicing up apples, oranges, bananas and pineapples and placing them in an air tight container to take along for snacking during the day. There are many different types of grains. Some offer important vitamins and minerals. Most are high in complex carbohydrates and fiber. Whole grains can be found in foods like popcorn, wheat bread and buckwheat waffles. Each of these can be prepared beforehand, eaten with a meal or as a snack. There’s no shortage of yogurt brands these days. And with all of the various types to choose from, your senior is bound to find something they like on the shelf. That also means they’ll be getting a healthy dose of calcium, vitamin B-2, potassium and magnesium. Yogurt also offers probiotics, which help stimulate the immune system and develop a healthy, digestive tract. These treats are packaged just right in size and serving, too. This Mediterranean favorite is made from chickpeas, olive oil, lemon juice, garlic, sea salt, and sesame paste. It has a myriad of health benefits including skin care, weight loss, and improved heart, digestive and muscular health. Experts also say its useful in treating long term medical conditions like cancer, diabetes, arthritis, high blood pressure and anemia. Hummus can be eaten as a dip or spread for burgers, sandwiches and wraps.